Brutalism seems to be making a comeback, and while I’m not much of a fan (with the exception of anything by Louis Kahn), I do appreciate certain material aspects of this 1970s era architectural movement. Namely, simplicity and solidity of mass. 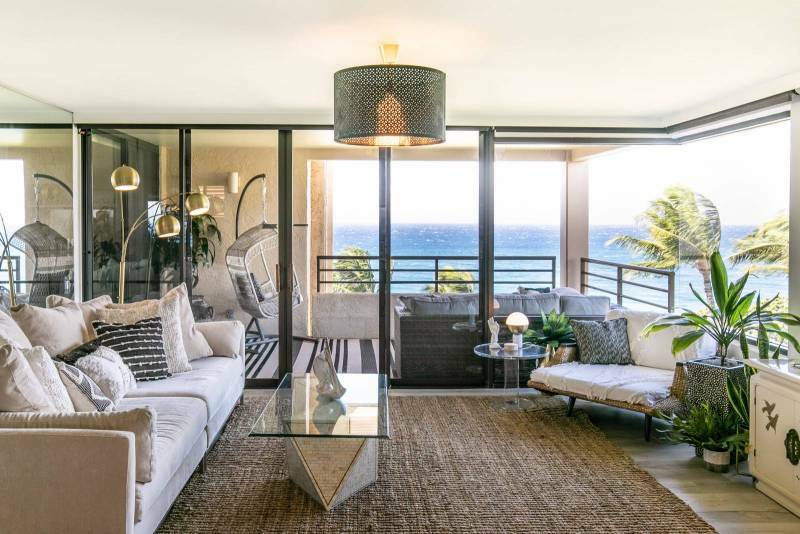 Welcome to Polo Beach Club 708 — Wailea/Makena’s new modern offering. 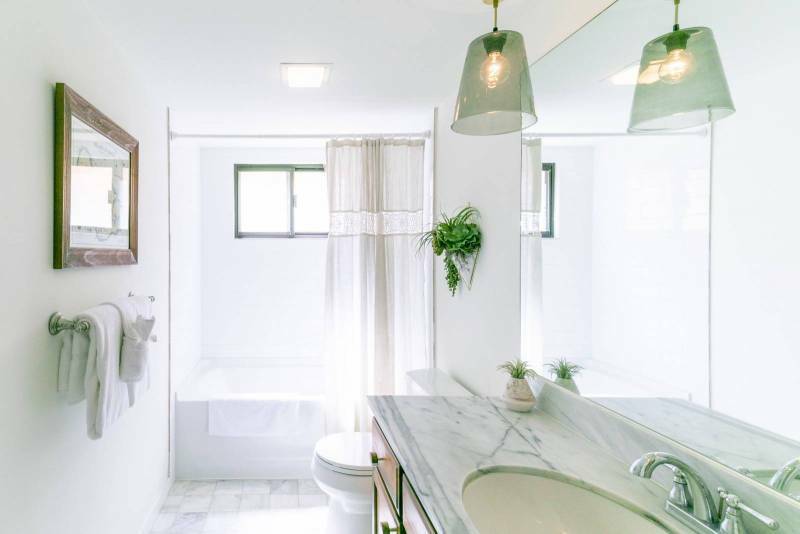 This newly remodeled vacation rental condominium neatly retreats amongst the protective and commanding concrete walls of the Polo Beach Club. 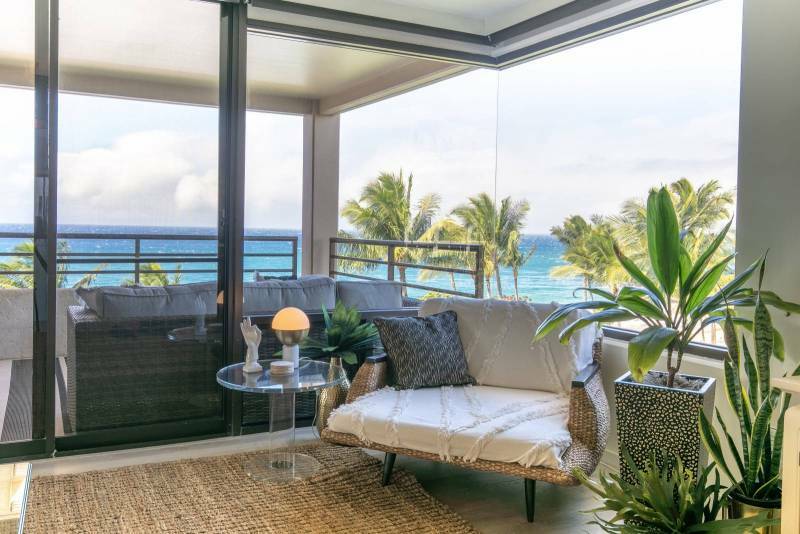 The designer’s eclectic approach ushers in a softer, more playful contemporary Hawaiian Modernism. 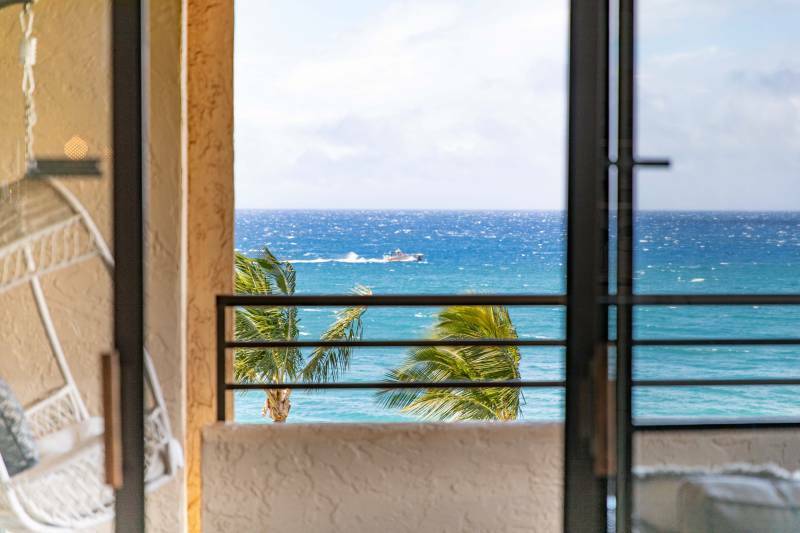 The Polo Beach Club has long held a fascination for me — it’s one of the only taller buildings along the Wailea Makena coast built before height restrictions were enacted. 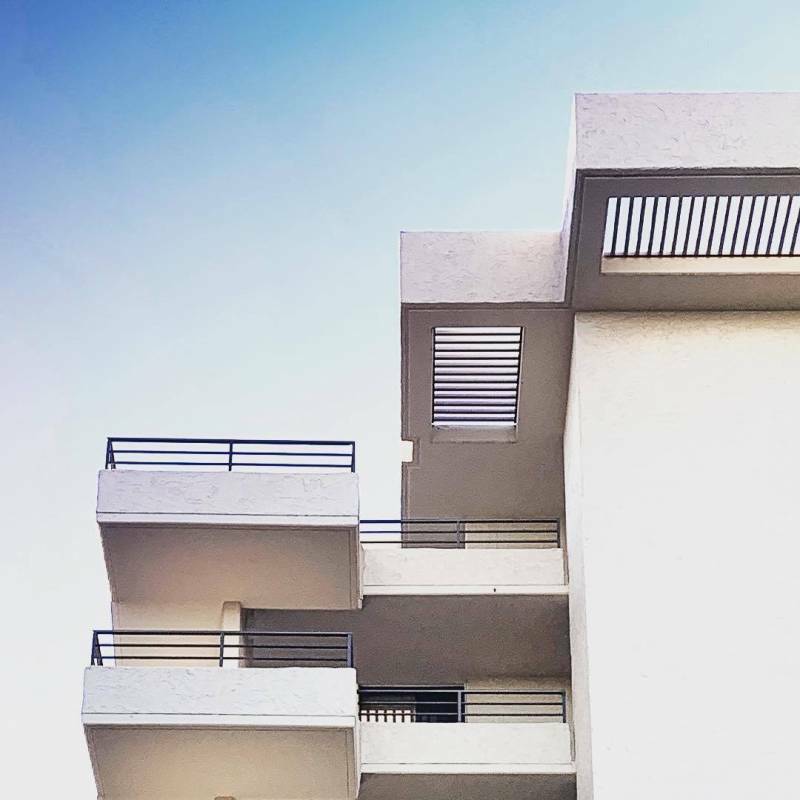 Its simple repeating forms of sand colored balconies, stairs, and rooftop architectural shades take a humble step back from its stunning Makena beachfront location and floats its lucky occupants skyward allowing them to witness the visual joy from a swaying coconut’s point of view. There are certain buyers who want to invest in a vacation property that is for their sole use. Wailea and Makena have a number of these options (among them the new Makali’i just up the street). Some people, however, do appreciate the opportunity to have their investment in Maui earn a return. One of the great things about the Polo Beach Club is that vacation rentals are legal here. So under the hands of a skilled property manager, your investment can continue to earn a return while you’re not here. (Email me for an introduction to Hawaii Life’s own Vacation Rental Management Program). 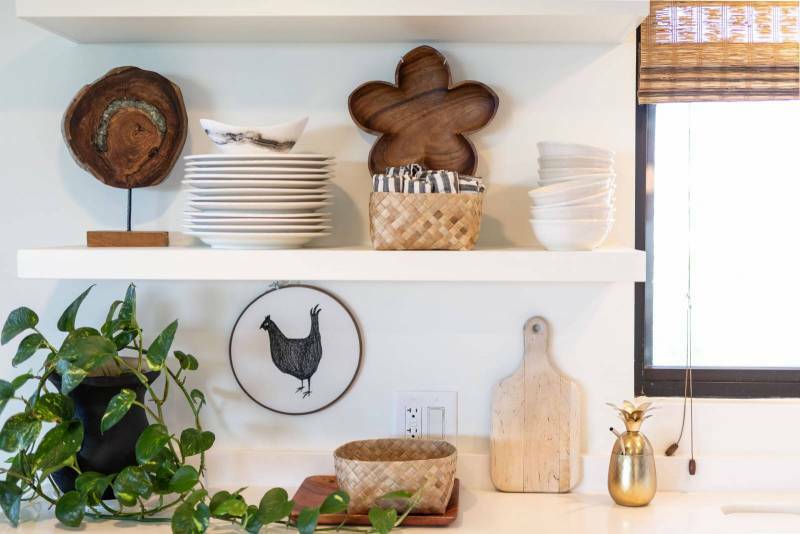 From a quick look at Dwell vacations, and the popularity of high occupancy Airbnb properties, you’ll notice a trend that younger renters are more interested in being in an environment where design is taking center stage. I’ve always believed good design pays for itself many times over. This condo is likely proof of that. 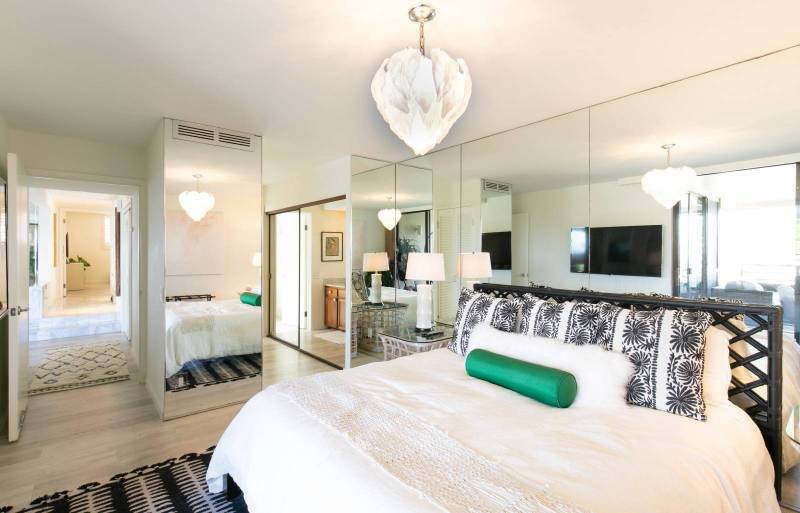 What do Polo Beach Club Residences Rent for Nightly? The best way to find out what these condos rent for nightly is to pretend to be someone wanting to rent one. In fact, WHY DON’T YOU RENT ONE!!? Lol – [Try before you buy]. Take a look at VRBO.com’s collection of Polo Beach Club Rental Possibilities at this link. What Happened Here in 1993? My first week ever on Maui was happily spent on the top floor of the Polo Beach Club. Little did I know then what privilege I had been granted! In 1993, at the very infancy of the internet, Maui was a much quieter place. If you’d like to read more about my first night on Maui and see more pictures of this beautiful property, check out my longer article at Modern On Maui. How Do I Purchase a Polo Beach Condo? Well, if you’d like more information about this particular unit, take a look at the MLS information at www.waileamodern.com. 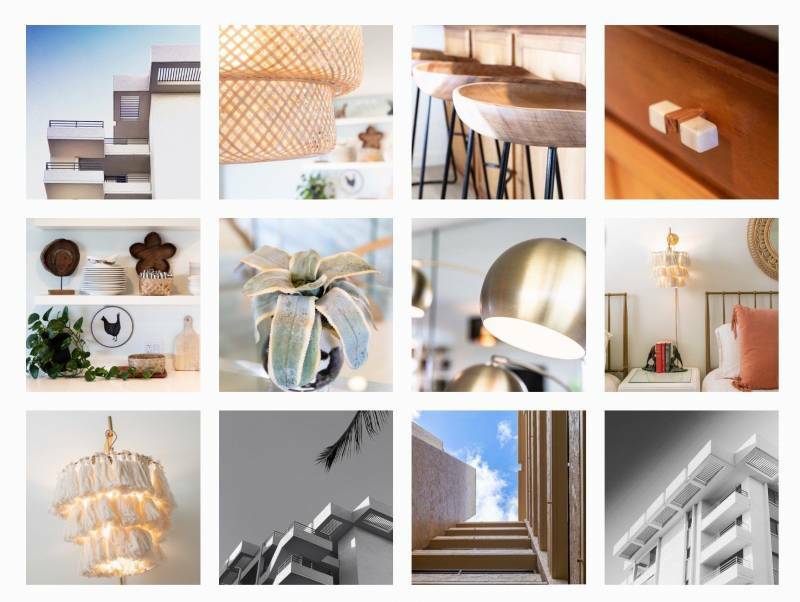 If you’d like to be notified of other opportunities at Polo Beach Club, please send me an email, and I can set you up on an availability notification at Polo Beach. This property is listed by Wailea Group LLC Brokerage, and I may represent you as a buyer. Liam Ball is a REALTOR(B) with Hawai'i Life. You can email me at	LiamBall@HawaiiLife.com	or via phone at (808) 280-7809.